So I've decided it's time that I start drawing better eyes. 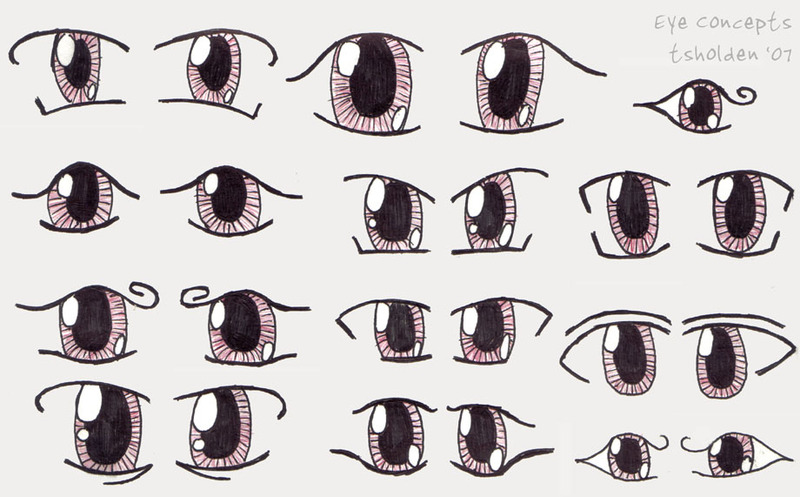 I need a new, more flexible and expressive style for drawing eyes. The above image is a page from my sketchbook, a page I've been messing on all day today at school. As you can tell, I'm not trying anything too different or out there- the eyes will need to match my other stuff. But I've gotten a fair number of variations out of something quite basic, and I'll continue to experiment for the next week or so. Made with two kinds of pen (black gel and red ink) and paper.